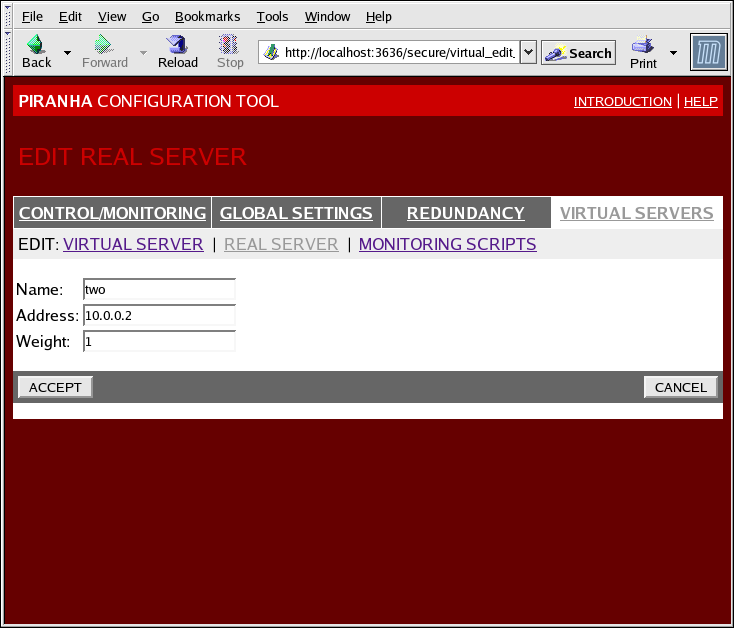 Clicking on the REAL SERVER subsection link at the top of the panel displays the EDIT REAL SERVER subsection. It displays the status of the physical server hosts for a particular virtual service. Click the ADD button to add a new server. To delete an existing server, select the radio button beside it and click the DELETE button. 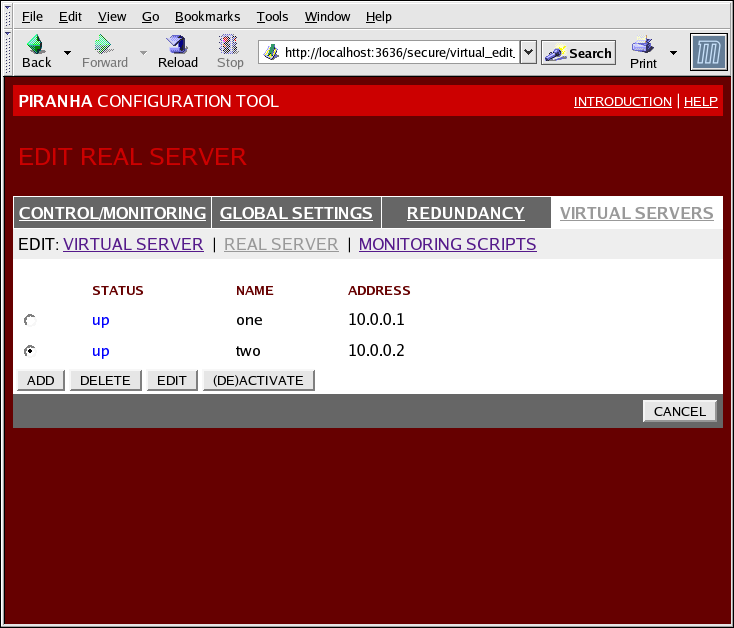 Click the EDIT button to load the EDIT REAL SERVER panel, as seen in Figure 4.8, “The REAL SERVER Configuration Panel”. A descriptive name for the real server. This name is not the host name for the machine, so make it descriptive and easily identifiable. An integer value indicating this host's capacity relative to that of other hosts in the pool. The value can be arbitrary, but treat it as a ratio in relation to other real servers in the pool. For more on server weight, see Section 1.3.2, “Server Weight and Scheduling”.